This entry was posted on October 1, 2008 at 1:43 PM and is filed under ArtBiker's Thoughts, Biker News, Uncategorized with tags biker wedding, motorcycle. You can follow any responses to this entry through the RSS 2.0 feed. You can leave a response, or trackback from your own site. Congrats to you and your bide! Also, congrats to Sis and her beau! Nice article and nice pics. I, too, am an ordained minister and did that in case family is ready to do the deed. 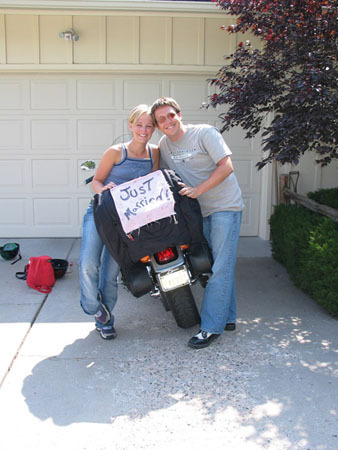 You are right about biker weddings, too. They can be quite impressive, often spectacular. Although I haven’t yet officiated (over the biker weddings), I was able to actively participate in other ways.